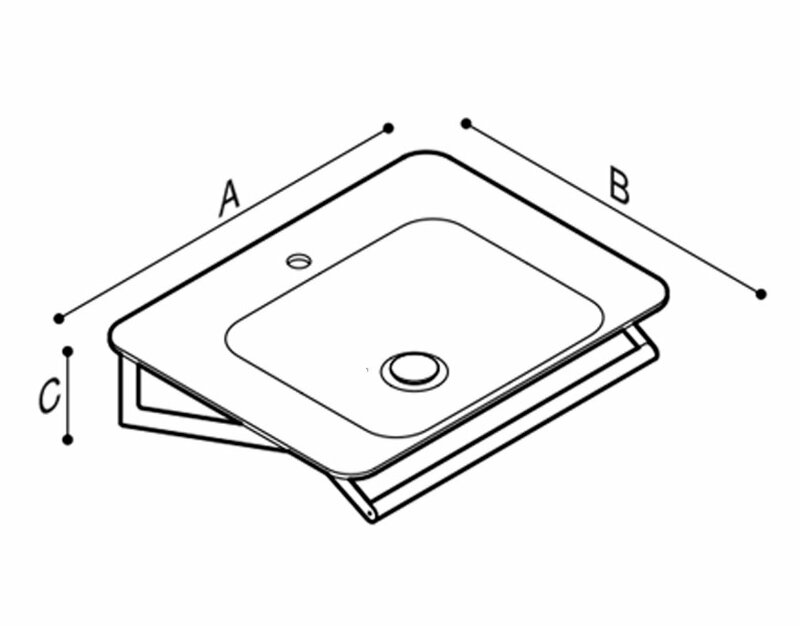 The basin is manufactured from acrylic stone and the edges of the basin are designed to be flat to enable users, who may be sitting or using a wheelchair, to support their elbows or arms. Acrylic stone is a high quality material, heated and vacuumed formed to the precise shape. When cooled, it is incredibly strong and looks very stylish. The advantages of Acrylic stone is that it is pore-free and smooth with a jointless surface that creates a contemporary look. In addition, it is hygienic, stain resistant, easy to maintain and resistant to bacterias and viruses. Ideal for the smaller bathroom at 700mm wide and 540mm depth without overflow and with waste exposed. The bracket which supports the basin is manufactured in powder coated steel for extra protection and the towel rail is made from stainless steel. You can choose between a chrome or white solid surface cap.